It's Fast, Easy and There is Nothing to Download! I've paid, how do I begin? 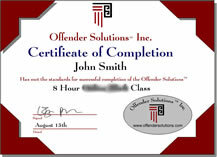 Offender Solutions� is a professional online education service for juveniles and adults. Our online classes are accepted by courts, schools and employers nationwide - Guaranteed! Is a school, court or probation officer requireing you to take a class? We offer a variety of 100% online classes. Yes, our classes are accepted across the nation and, that's right -nothing to download and your free Certificate of Completion is immediately available upon completion! Don't want to sit in a group of other people and be forced to "make confessions"? Take your class online - on your timelines. Our classes are designed to be easy, informative, self paced, convenient and, of great importance - affordable. 100% online, no lectures and no judgments. Our goal is to provide honest and accurate information to our class participants. When we say no lectures and no judgments, we mean it! Are our Theft / Shoplifting Classes accepted in Idaho? Below is a list of each County in Idaho. Indicates acceptance is likely as we have not recorded an incident where our Idaho shoplifting / theft Class was declined. Indicates you are encouraged to check with your Court, Judge or PO to confirm acceptance. We do provide a Court Acceptance Guarantee. If you don't like something change it; if you can't change it, change the way you think about it. ** All 8 hr Classes are Offered as a Workbook Class Too. It's Fast - Go at your own pace! Offender Solutions� is a professional online service for juvenile and adult offenders. Judges, probation officers, schools, mental health professionals, parents, etc. can refer clients to the Offender Solutions� online classes. Yes, your Certificate of Completion will be immediately available. 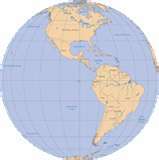 Each chapter of our classes is activated upon completion of the previous one. Once the last chapter has been completed your Certificate of Completion is activated and immediately available for you. Most people simply print their own certificate but, if you want an embossed Certificate, no problem, no charge- just ask! Upon request, we can e-mail, mail or fax your certificate to any person you request. Be careful, others charge a Certificate embossing fee and/0r a "Report" fee. We have no added fees. Copyright © 2005-2019 Offender Solutions® Inc.